State Polls – Page 2 – WBLSports.com | The Official Site of the Western Buckeye League for wbl news, wbl scores and wbl standings. Ottawa-Glandorf is ranked in the 6th weekly AP Ohio Boys Basketball State Poll. Ottawa-Glandorf is ranked 3rd in Division III in the sixth weekly AP Ohio Boys Basketball State Poll. Ottawa-Glandorf is ranked in the final weekly 2018 AP Ohio Girls Basketball State Poll. Ottawa-Glandorf is ranked 9th in Division III in the final weekly AP Ohio Girls Basketball State Poll. Elida & Ottawa-Glandorf are ranked in the 5th weekly AP Ohio Boys Basketball State Poll. Elida is ranked 9th in Division II and Ottawa-Glandorf is ranked 2nd in Division III in the fifth weekly AP Ohio Boys Basketball State Poll. Ottawa-Glandorf is ranked in the 5th weekly AP Ohio Girls Basketball State Poll. Ottawa-Glandorf is ranked 10th in Division III in the fifth weekly AP Ohio Girls Basketball State Poll. Elida & Ottawa-Glandorf are ranked in the 4th weekly AP Ohio Boys Basketball State Poll. Elida is ranked 6th in Division II and Ottawa-Glandorf is ranked 2nd in Division III in the fourth weekly AP Ohio Boys Basketball State Poll. Ottawa-Glandorf is ranked in the 4th weekly AP Ohio Girls Basketball State Poll. Ottawa-Glandorf is ranked 9th in Division III in the fourth weekly AP Ohio Girls Basketball State Poll. Ottawa-Glandorf is ranked in the 3rd weekly AP Ohio Girls Basketball State Poll. Ottawa-Glandorf is ranked 3rd in Division III in the third weekly AP Ohio Girls Basketball State Poll. Elida & Ottawa-Glandorf are ranked in the 3rd weekly AP Ohio Boys Basketball State Poll. Elida is ranked 8th in Division II and Ottawa-Glandorf is ranked 3rd in Division III in the third weekly AP Ohio Boys Basketball State Poll. Ottawa-Glandorf is ranked in the 2nd weekly AP Ohio Girls Basketball State Poll. Ottawa-Glandorf is ranked 3rd in Division III in the second weekly AP Ohio Girls Basketball State Poll. Elida & Ottawa-Glandorf are ranked in the 2nd weekly AP Ohio Boys Basketball State Poll. Elida is ranked 3rd in Division II and Ottawa-Glandorf is ranked 3rd in Division III in the second weekly AP Ohio Boys Basketball State Poll. 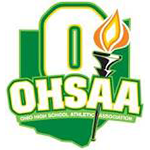 Defiance & Ottawa-Glandorf are ranked in the 1st weekly AP Ohio Girls Basketball State Poll. Defiance is ranked 11th in Division II and Ottawa-Glandorf is ranked 3rd in Division III in the first weekly AP Ohio Girls Basketball State Poll. Elida & Ottawa-Glandorf are ranked in the 1st weekly AP Ohio Boys Basketball State Poll. Elida is ranked 3rd in Division II and Ottawa-Glandorf is ranked 4th in Division III in the first weekly AP Ohio Boys Basketball State Poll. St. Marys is ranked in the Final Weekly 2017 Ohio AP State Football Poll. St. Marys is ranked 8th in Division IV in the Final Weekly 2017 Ohio AP State Football Poll. The 6th weekly OHSAA Football Computer Rankings were released and 3 WBL schools are in the top 8 in their region going into the final week of the season. St. Marys is ranked in the 7th Weekly AP State Football Poll. St. Marys is ranked 9th in Division IV in the seventh weekly AP State Football Poll. By admin|2017-10-23T22:23:34-04:00October 23rd, 2017|Football, Scores, St. Marys Roughriders, State Polls, WBL|Comments Off on St. Marys is ranked in the 7th Weekly AP State Football Poll. Elida is ranked in the final weekly 2017 OSSCA Boys Soccer State Poll. Elida is ranked 7th in Division II in the final weekly 2017 Ohio Scholastic Soccer Coaches Association Boys Soccer State Poll. Wapakoneta is ranked in the final weekly 2017 OSSCA Girls Soccer State Poll. Wapakoneta is ranked 5th in Division II in the final weekly 2017 Ohio Scholastic Soccer Coaches Association Girls Soccer State Poll. Ottawa-Glandorf is ranked in the final weekly 2017 OHSVCA Volleyball State Poll. Ottawa-Glandorf is ranked 6th in Division III in the final weekly 2017 Ohio High School Volleyball Coaches Association State Poll. The 3rd weekly OHSAA Football Computer Rankings were released and 2 WBL schools are in top 8 in their region. Kenton Boys & Wapakoneta Girls are ranked in the 2nd weekly OSSCA State Soccer Poll. Kenton is ranked 8th in Division II in the 2nd weekly Ohio Scholastic Soccer Coaches Association Boys State Poll. Wapakoneta is ranked 8th in Division II in the 2nd weekly Ohio Scholastic Soccer Coaches Association Girls State Poll. By admin|2017-09-13T22:36:04-04:00September 11th, 2017|Kenton Wildcats, Scores, Soccer Boys, Soccer Girls, State Polls, Wapakoneta Redskins, WBL|Comments Off on Kenton Boys & Wapakoneta Girls are ranked in the 2nd weekly OSSCA State Soccer Poll.